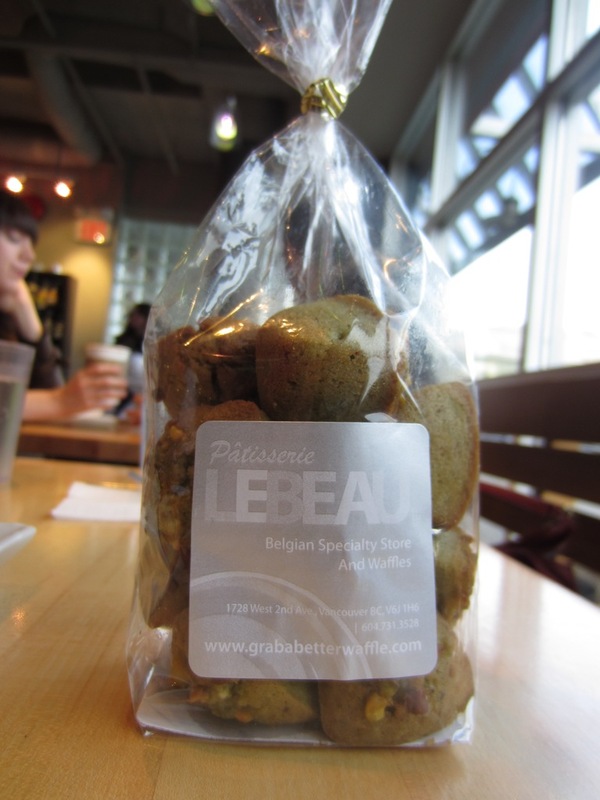 Patisserie Lebeau is a bakery that specializes in waffles tucked in the industrial area of 2nd Avenue near a bunch of car dealerships. 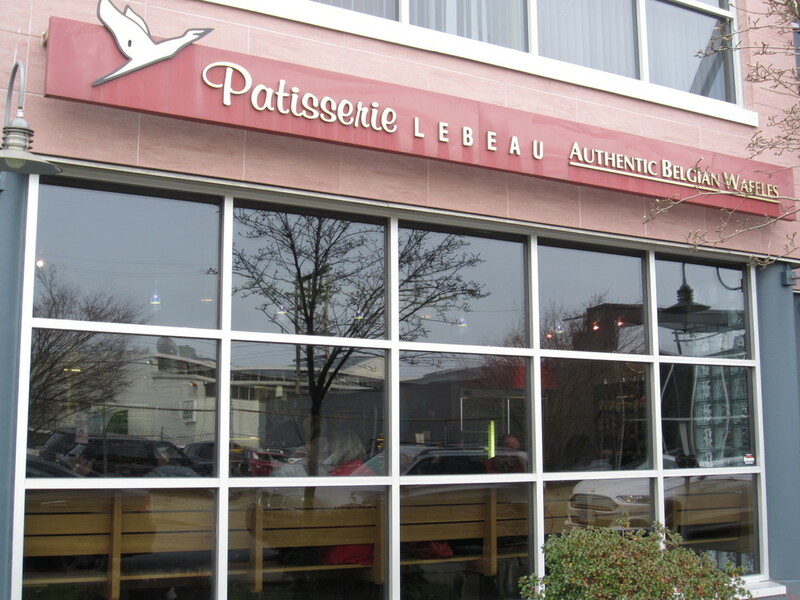 The location is a bit odd but like most hidden gems in Vancouver, they tend to be inconspicuous. This one was no different. This picture explains it all. How can this only be 7 bucks? More on that later. 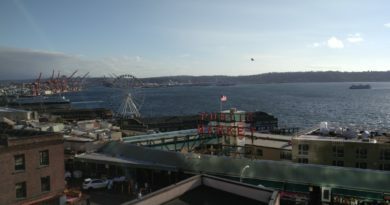 If there was a location closer to my house, I would honestly come here every day. They also specialize in something called ‘rice pies’. I have no idea what to expect from these pies nor know how they differ from normal pies made from wheat but I would certainly like to find out in the future. 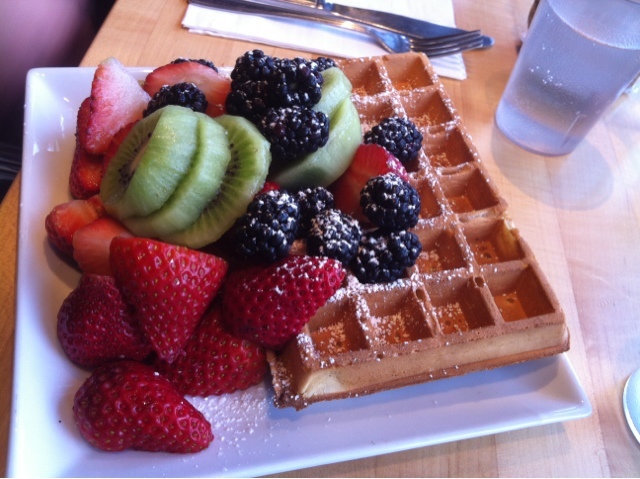 My friend ClimbingGirl smartly chose the Brussels Waffle with Fresh Fruit ($7.00). 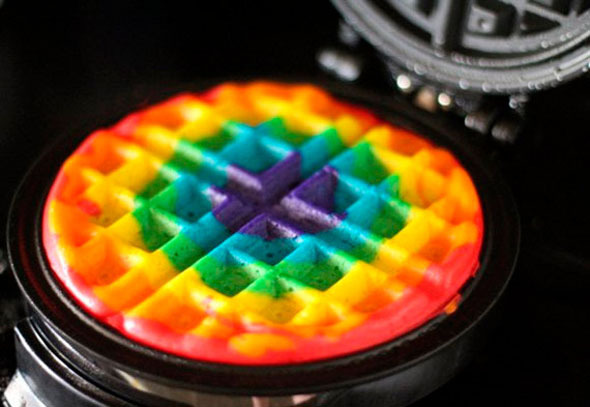 The waffle was freshly made, crisp, and acted as a nice canvas for the fresh fruit. 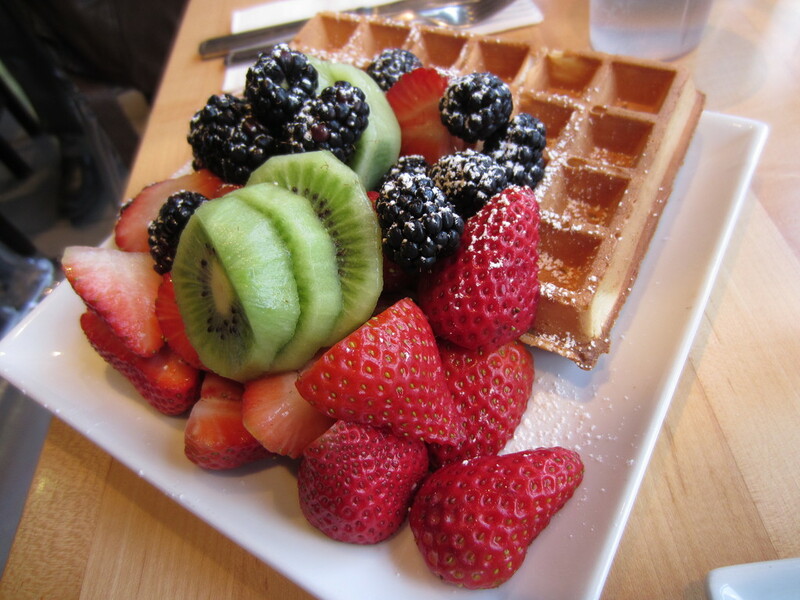 However, the star attraction was not the waffle, but the mountain of beautifully ripe blackberries, strawberries, and kiwis that accompanied it. I don’t even know how Patisserie Lebeau can obtain such ripe strawberries in the middle of winter. He’s a magician! 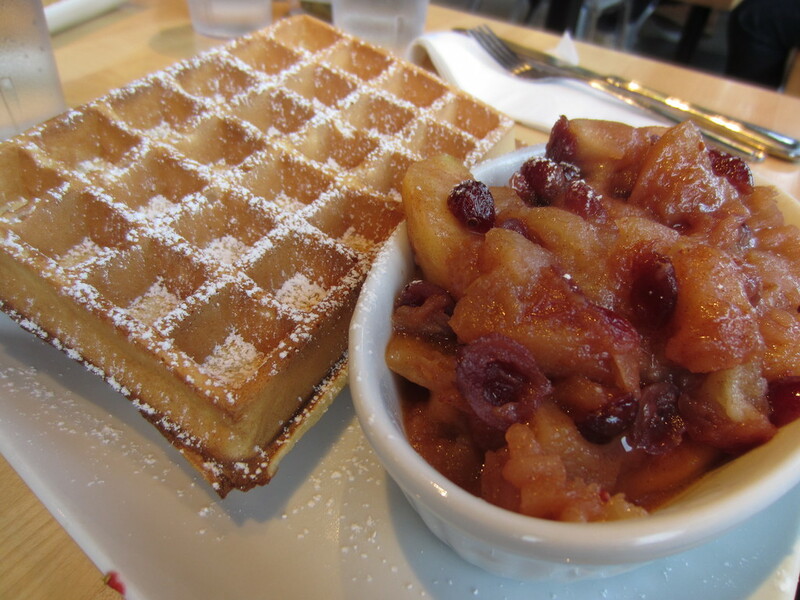 Misu opted for the Brussels Waffle with Warm Cinnamon Apple and Cranberry ($~7.25). She loved the dish but particularly appreciated how the filling was not overly sweet. I forgot what this is called but it is some type of mini Pistachio Cake. I normally love pistachio on its own but when grounded up into a cake, it lost some of its beautiful salty nutty flavour. It was an overall good snack though as we ate it during our snowshoeing adventure after lunch. 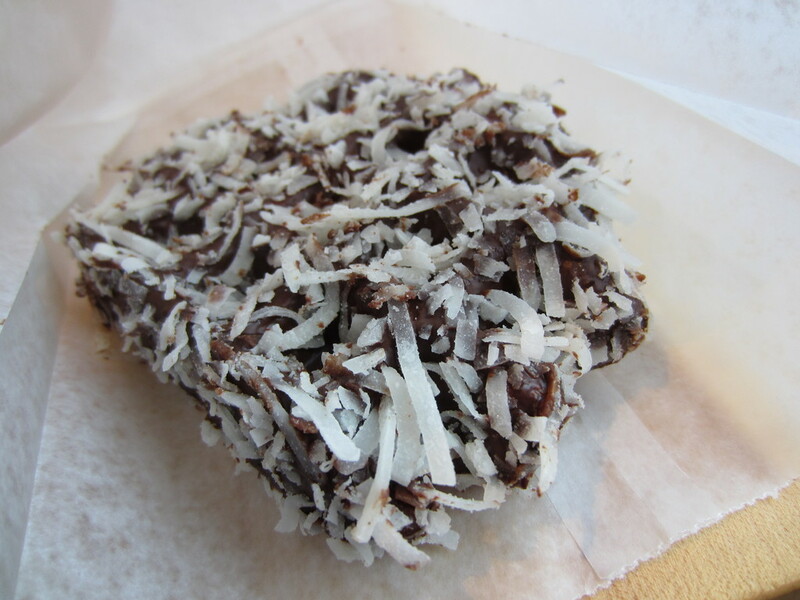 I got the Large Coconut Dark Chocolate Liege Waffle to-go and it was absolutely delicious. 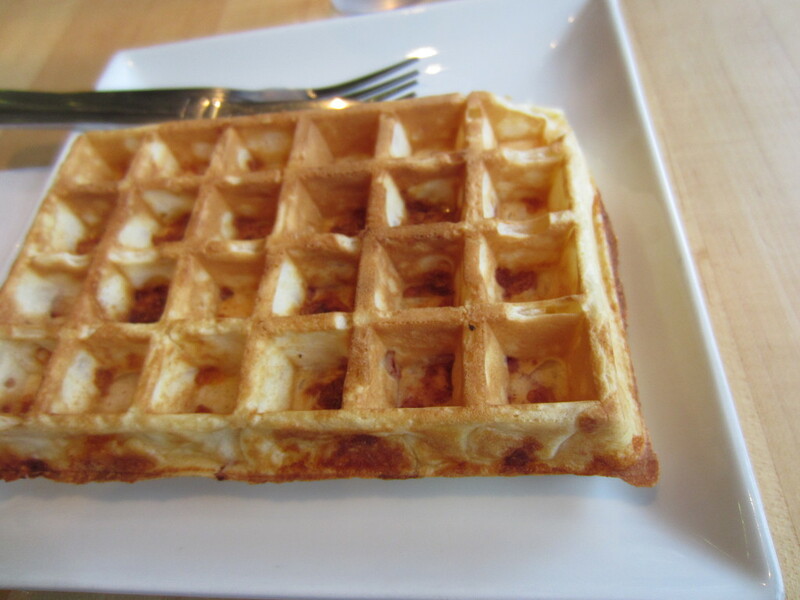 I loved the large coconut shavings on top and the crunchy pearl sugar scattered throughout the waffle. Get this if you are in the mood for something rich and chocolately. 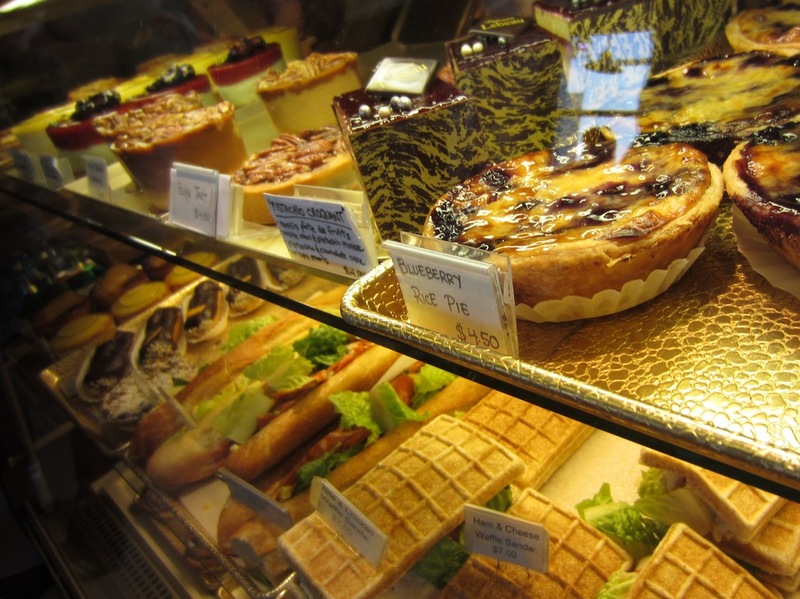 If properties for sale in Knokke have such affordable and tasty waffles with romantic ambiance of patisserie, they would be selling like pancakes or should we say, waffles! 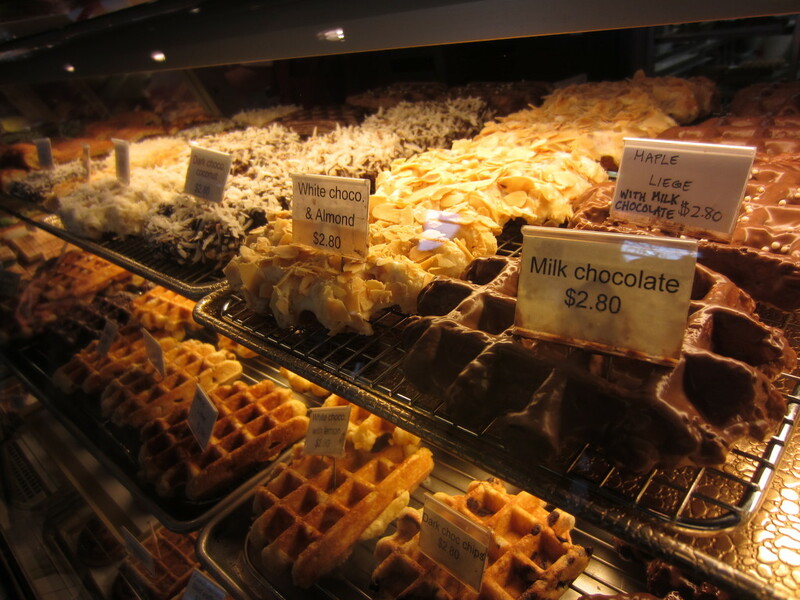 Wow, these are all mouthwatering treats! I remember there was one time when I indulge myself with luscious desserts at a luxurious hotel in New York.